Landscape Elements, LLC worked with Gordon R. Archibald, Inc. engineers to provide landscape architectural design services for a site improvement project around the exterior of the Whitehall Nursing School at the University of Rhode Island. The building was retaining basement moisture due to storm water management issues. 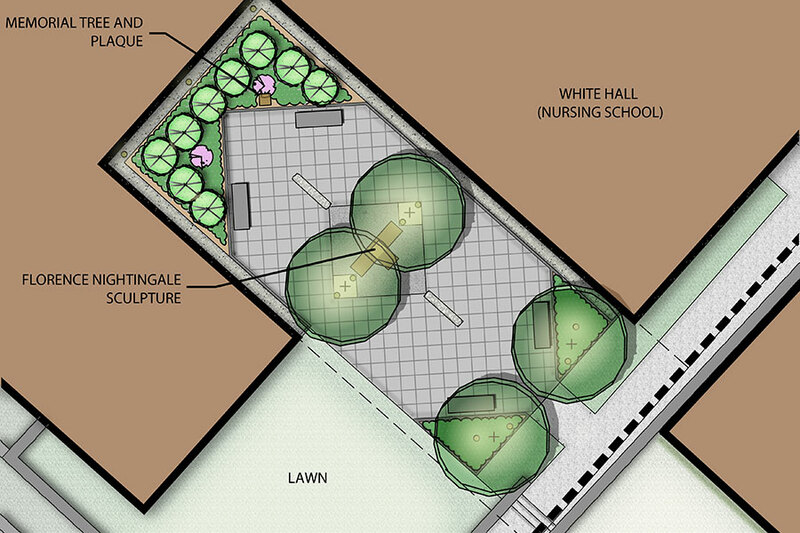 As part of the exterior site improvements and storm water re-design, an existing memorial garden had to be removed, relocated and redesigned to fit the spatial change. 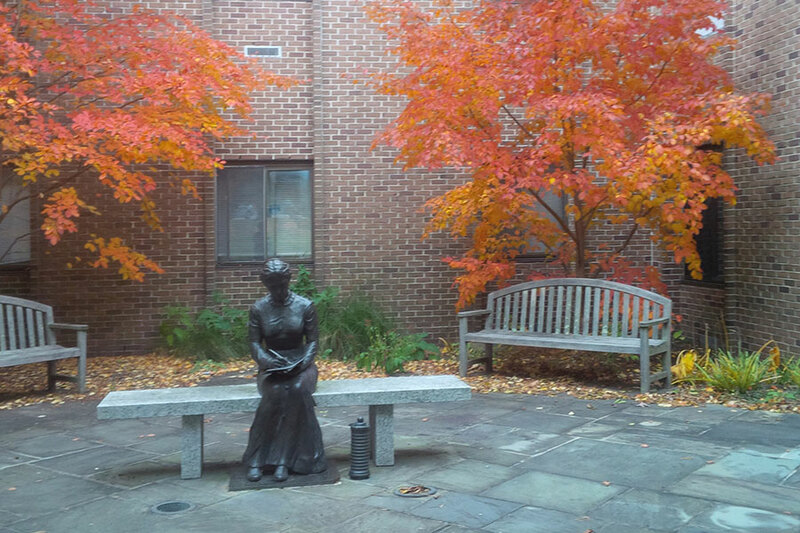 The redesign provides a larger gathering space for special Nursing School events and relocates the key feature, a statue of Florence Nightingale, in a more central location within the outdoor space. 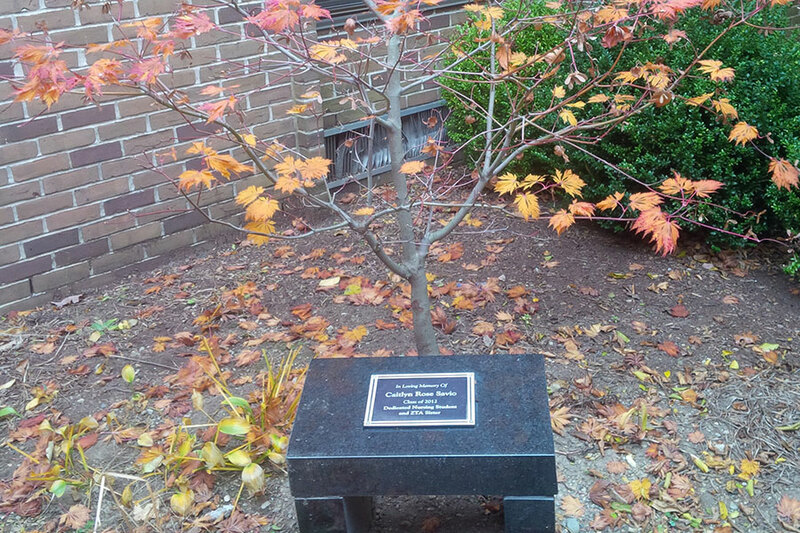 Other key elements in this Memorial Garden include the relocation of a memorial plaque and memorial tree dedicated to former students. The landscape palette focused on materials that are easy to maintain with requirements that the pavement be solid concrete and that a perimeter “drip edge” be installed adjacent to the Nursing Building to avoid placing mulch adjacent to the structure and also to facilitate drawing moisture away from the foundation. Site lighting was also included in the redesign so that the space could be safely used at night. Plant material was selected for its sustainability and durability as well as for seasonal interest. 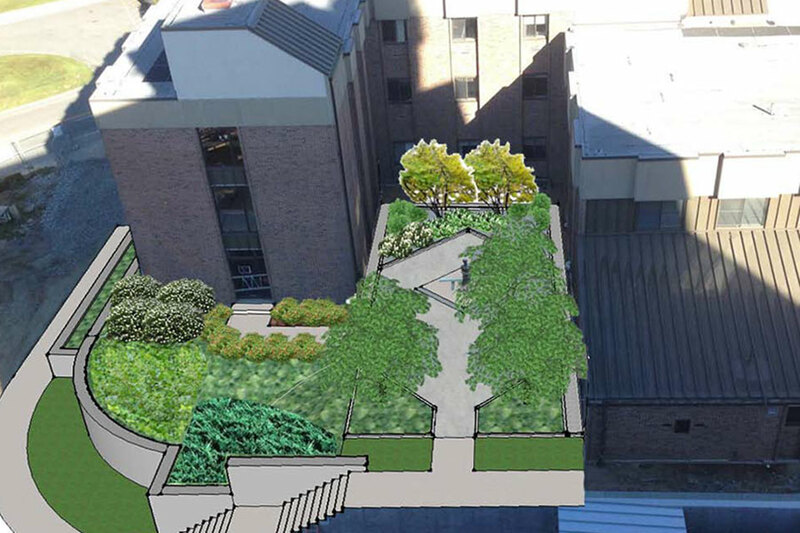 Plant material was also selected for its tolerance to shade as the new garden location will sit adjacent to a newly constructed five-story academic building that will cast shade on the site from mid-morning on. The project has been coordinated with URI Facilities and Administrative staff as well as nursing school and academic staff and construction will be completed in 2016. 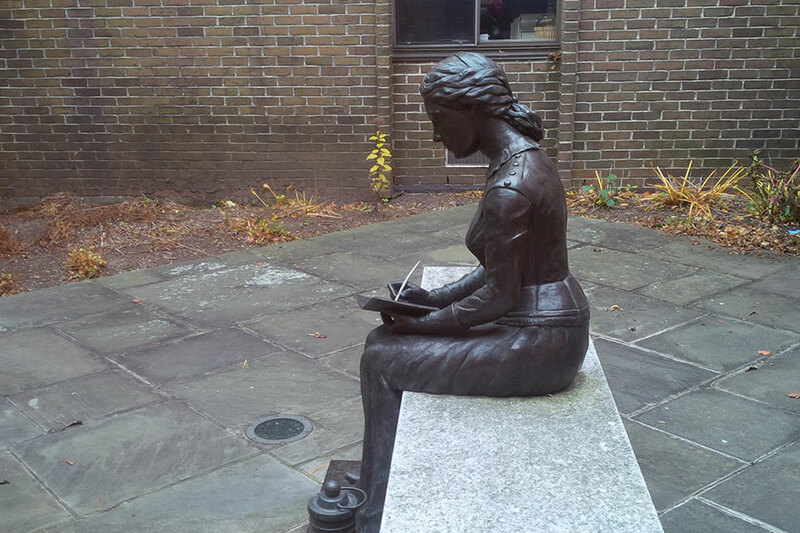 The Florence Nightingale statue will be relocated in the proposed design.